This is outstanding! Nice work! I’ll be really interested to hear how things pan out regarding your valve and its air flow rate. I got a little obsessive with my huge sprinkler valve and making sure there weren’t any corners or smaller pipe between it and the tank, but I really wonder if any of that actually matters. Up near 100psi, my launcher doesn’t have any trouble getting enough air in to rockets to blow them to pieces before they can get off the pad. Since I wrote my post, I have swapped the whole tank assembly out for black steel pipe. I got tired of sweating about the possibility of it exploding. Its very cheap and common stuff on this side of the pond, I expect your plumbing outlets will have it. It threads together easily, it has a working pressure up near 1k psi, and it splits instead of fragmenting if it fails. The only downside is weight, but it only added maybe 15kg. To me, that was a small price to pay for peace of mind. Maybe I’ll add an update to my post with some pictures. Good luck with your build! Looking forward to seeing how things progress! I’ve also been thinking of making a Version 2 at some stage with steel pipe. It’s pretty cheap here also. As you say, it would be worth it for peace of mind! I’ve got some parts to build the launch controls now (LCD, Arduino Nano, big red button, key switch and toggle switch with flip up cover) … can’t wait to put this thing together! I’m still using the original 40mm (1.5″) solvent weld pipe pictured above, which is PVC-U. It’s commonly used in UK plumbing and easy to source. So far the PVC-U is still holding up, so I never replaced it. 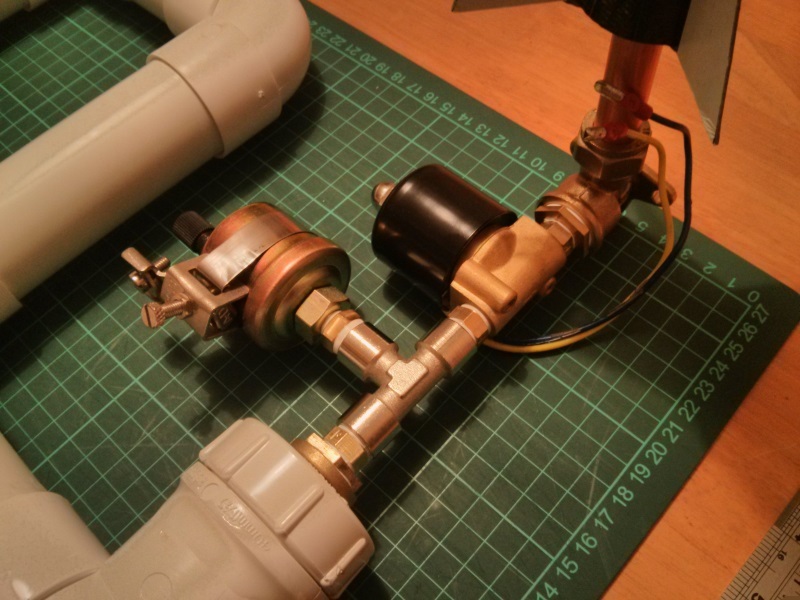 However, I did replace the valve since this article. I’m not sure about using copper, it would be comparatively expensive versus steel. The pressure rating for the pipe looks sufficient: at 65°C the 15mm pipe rating is about 58 bar (841psi) and 22mm pipe rating is 51 bar (740psi). The joints are the weak point, but even those should be about 7 bar (100psi). 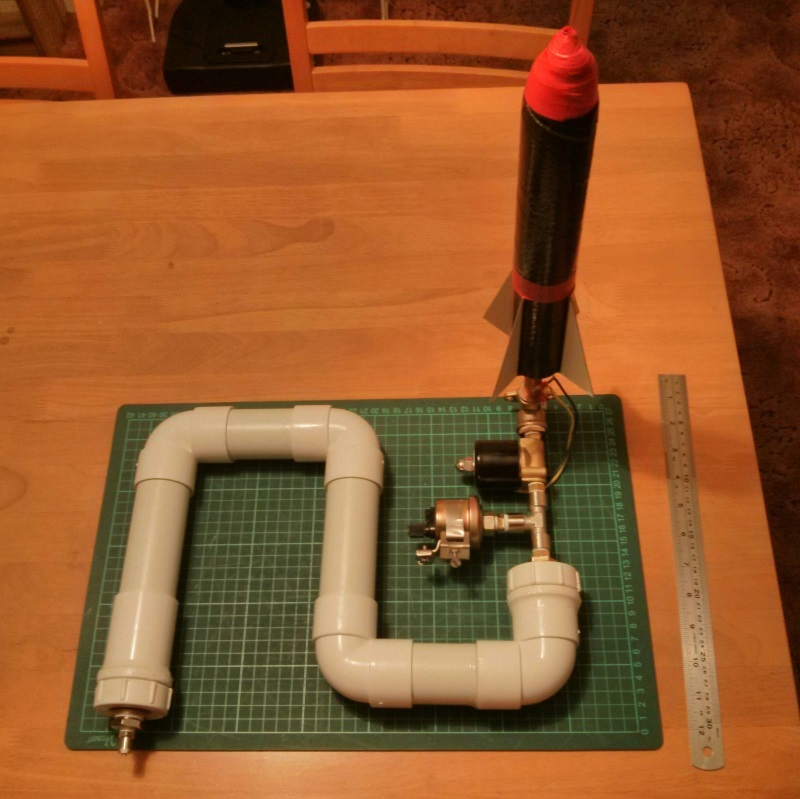 awesome thanks for the quick response – I did manage to find an example using copper here https://www.rocketreviews.com/scratch-air-pressure-rocket-by-matt-gillard-1310.html – I was getting a bit nervous about using the pvc option after reading quite a lot of warnings! No problem, thanks for the interesting link! I think if I was starting again, I would probably use Galvanised Steel Pipe, you can get 2″ (or even 4″) diameter lengths with BSP threads both ends fairly cheaply on eBay. 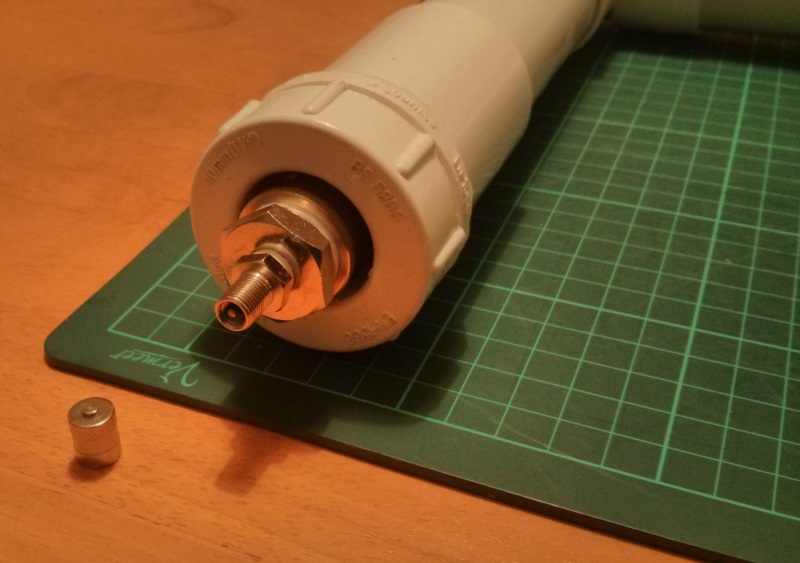 You could screw a couple of female end caps on either end, then drill the end caps to fit the valves. Although made of PVC, mine is enclosed in quite a substantial chipboard box which is well braced, and I use a long control cable so I can retreat to a safe distance whilst wearing a pair of safety glasses, so I’m pretty comfortable using it! I’m just putting together one of these but for the tank I am using a steel air receiver tank which is rated to 11 bar and has a 1/2″ BSP thread at each end. Around £30 on ebay. Hi Graham, sounds like a good choice, and a nice weekend project now the weather has improved again!